First of all, please know that all of our friends in the path of this hurricane are very much in our thoughts and prayers as you face this devastating event. I was too young to remember much about the great drought of 1955 here when the bank refused to take our land in foreclosure because it wasn’t worth what was owed on it. Mom worked two jobs in town while Pop worked three jobs and continued to farm the next year. I only remember never seeing them, but wondering if they ever slept. Our ancestors were tougher than we are. Thanks to extremely hard work and the grace of God, Mom and Dad survived, and paid off the debt. However, I have faced three tremendous natural catastrophes in my tenure here. In April of 1974, lightning struck our communication tower. That surge ran to our equipment room, and then jumped to our gas lines. I have always been the first one to come to work. When I arrived, my brain could not register what my mind was seeing. Our main lodge was burned completely to the ground as well as three of our four sleeping units along with Mom’s Lincoln, two golf carts, and our riding lawn mower. We had the grand total of $25,000 worth of insurance on everything that burned. The reason I can recall the insurance figure so clearly is that it was the exact amount that we had paid for and had a PBX system installed the month before. I warned Martha that in a small town that she would hear that we had burned the place down for the insurance money, but we hardly had any insurance. She assured me that would not be the case. She soon learned that I know my small town well. We got an SBA loan, rebuilt, and opened up on schedule that October. Then in 1994 came the great 500 year flood. The river rose 53 vertical feet after receiving 24 inches of rain in two days only about 100 miles north of us. All of the cottages went under the water, and one cottage was completely destroyed as it broke on its foundation. My home was the only building that did not take water. I will always believe that this was my finest hour as we had prepared for the event ahead of time, including purchasing and storing materials in the big cold boxes at our corn plant before the price gouging could start. I had also secured a promise from two contractors that I had used in the past that they would work for us six days a week. I told them that our folks would take care of the tear down and clean up, but that they had to bring my buildings back up by October 15th. Oh, did I mention that we had no flood insurance? We have had buildings on this location since 1957, and this is one of the highest bluffs on the Flint River. We had seen Albany, Newton, and Bainbridge flood on numerous occasions prior to this while we stayed dry by at least three feet each time; so I thought that flood insurance was a waste of money. Oh, and I did tell Martha that she did not have to worry about hearing folks say that we caused the flood for the insurance money. And then along came 1998, when we received another flood of almost the same proportions. They called this flood a 500 year event also. At that time I recall thinking that I have officially surpassed Methuselah in age since this flood made me 1,000 years old. I am slow, but I am not stupid. This time, we had federal flood insurance. We also had a lot more experience as to how to prepare and rebuild. I don’t know if any of you have ever had to handle wet carpet, but a small strip of water-logged carpet weighs a bunch. Unlike the ’94 flood, we ripped all of the carpet out of the cottages prior to the flood. After rebuilding from this flood, we undertook some flood amelioration work. Where we could, we created a higher bank line on the river. On the cottages where this was not possible, we snatched those cottages off the slab, raised them six feet, and placed them back on a raised foundation. We also placed our heating and cooling systems on raised platforms also. Please allow me to use two quotes from Winston Churchill, whom I consider to be one of the greatest figures in history, in closing. 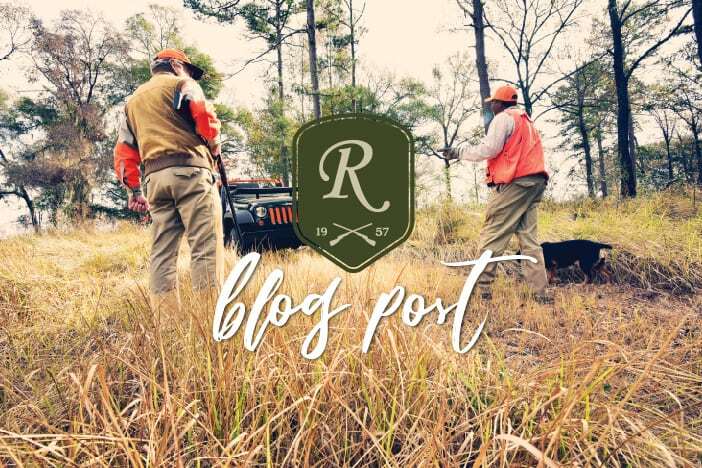 My next blog will concentrate more on how we are getting ready for a great season, what we are doing now, and how much we look forward to seeing y’all again this season. However, I felt led to write this one as I watched the scenes of destruction unfolding courtesy of Hurricane Florence. May God bless preserve, and protect you and your families!